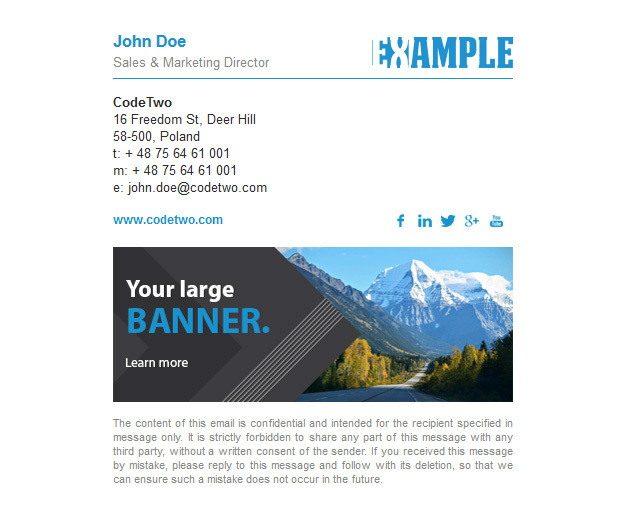 A banner-based HTML signature with emphasized name and logo parts. Using disclaimer in the signature will help you stay compliant with relevant laws and regulations. This template is available in the Signature Generator, so you can make some adjustments if necessary. Use the Download signature button to download it now.